Courtesy of a much-appreciated check disc from Fetch Publicity I had the opportunity recently to review the long-gestating modern reimagining of Jean-Claude Van Damme’s hard-hitting 80’s revenge flick, with the action icon returning to the franchise alongside faces fresh (Alain Moussi) and familiar (Dave Bautista, Gina Carano). Click THIS LINK to get taken directly to my blow-by-blow account over at the 80’s Picture House. 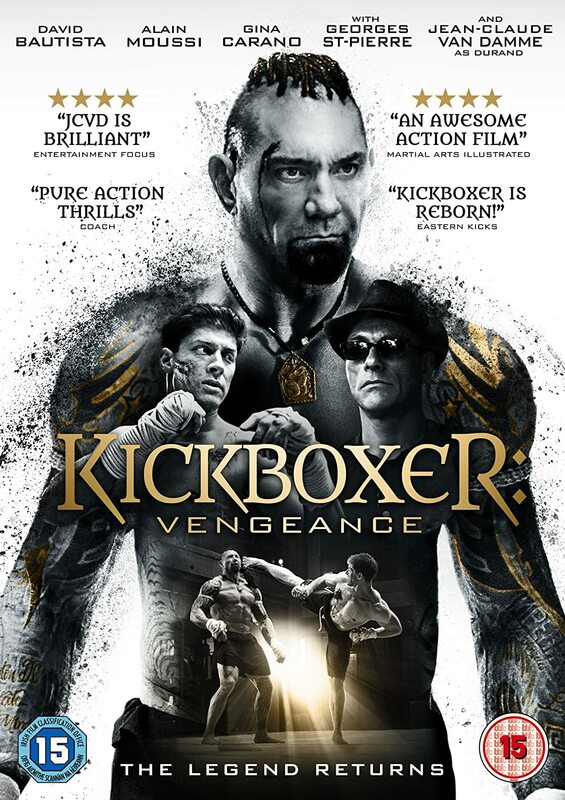 Kickboxer: Vengeance is out NOW on region 2 DVD and Blu-ray from Kaleidoscope Home Entertainment (UK). Courtesy of some generous check discs from Fabulous Films, my Smokey journey has taken in the highs and lows of the 1977 original road movie (which I reviewed HERE) and the somewhat less classic 1980 copyca– I mean, sequel (which I reviewed HERE). Now, my joyride across the newly remastered Blu-ray trilogy reaches the finish line in, err, frenzied style with the darn tootin’ crazy caper that is 1983’s Smokey and the Bandit III. Hit the link HERE to get taken directly to the 80’s Picture House website for your fix of four wheeled farce.